There's no doubt that the Compaq iPAQ 3600 series occupy that rare class of gadgets that's noticeable for being eye-catching and fashionable as well as functional. Even if you don't regularly shuttle between nations in a private company jet, using the sleek metal device may make you feel like a high-powered executive (or at the very least, make other people think you are). The most striking feature of the iPAQ is its bright, crisp color screen. We were a little surprised to discover that it only displays 4,096 colors (compared to color offerings from Palm and Handspring, for example, which display up to 65,536 colors). While the color quality is fine for everyday use, photos can appear somewhat grainy or posterized. Other hardware notables include a headphone jack for listening to digital music (or even just the built-in alert sounds, which are the best we've heard on any device), an infrared port for beaming data to other similarly equipped Pocket PCs, and a voice recorder for capturing your ideas while in traffic. The unit is powered by a rechargeable lithium-ion battery that performed acceptably for a color display. A connection port at the bottom accommodates extension packs that can read CompactFlash media, PC Cards, and other peripherals (or just brightly colored jackets for expressing your fashion sense). In terms of storage and software, the iPAQ is a modern workhorse. It has 32 MB of RAM for storing large media files like MP3s and movie or animation clips, plus 16 MB of ROM that houses the included applications. These include the Microsoft Windows CE 3.0 operating system, Pocket PC versions of Microsoft Word, Excel, Internet Explorer, Money, Windows Media Player, and Reader as well as applicationslike a calendar, contact list, task list, and notes. The iPAQ accepts data using a handwriting recognition system that was surprisingly tolerant of our scribbled notes--we encountered problems mainly with two-stroke letters like t, i, and k. An onscreen keyboard comes in handy in these situations, or you can use the "inking" feature to write directly on the screen, followed by a Recognize command that translates the writing into letters. Although inking seemed to lag slightly behind the stylus as we wrote, it picked up 80 to 95 percent of the letters. This isn't to say that the iPAQ is perfect, however. Many aspects of Windows CE 3.0 drove us crazy, like the irrational choice to put the program menus at the bottom of the screen and present them so they don't appear to be menus at all. 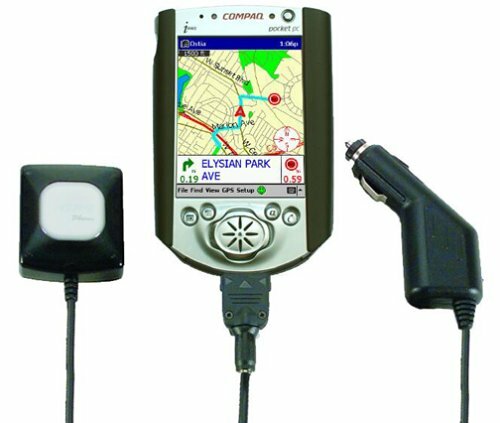 Another quirk is the iPAQ's Navigator, a large four-direction button below the screen that can be used to scroll through selections. Looking at the QStart screen (an icon view of most of the programs), you can highlight different icons using the Navigator. However, counterintuitively, you have to push up and down on the Navigator to highlight objects to the left and right, respectively. Pushing the center of the Navigator acts like the Enter key on a computer keyboard, taking you to the selected program or file. The iPAQ interfaces with Windows-based PCs (sorry, Macintosh users) using Microsoft's ActiveSync 3.1 software (which also includes a full version of Outlook 2000). The synchronization process is pretty efficient, and lets you browse the contents of the iPAQ from your desktop. However, it took three PCs running three flavors of Windows and three ActiveSync installs before we were able to get the computer to recognize the iPAQ. While color is nice, the price of a color iPAQ is not worth it when compared to this unsung model. Often overlooked the 3135 has all of the same features as it color siblings, Excel, Word, IE, Outlook, Calendar, Contacts, MS Money, but albeit with less RAM 16 compared to 32mb or 64mb for the color versions. However with the inclusion of the CF sleeve, which allows you to plug in CF cards from 8 to 256mb, the 3135 is the best PDA bang for the buck. And let's not forget the iPAQ comes with Windows Media Player, making it also an mp3, wma player, and it has the ability to record voice messages. With the CF sleeve and a few flash cards one can literally carry ones music libary with you where ever you go. Compared with the Palm Pilot, and Handspring Visor, this inexpensive jewel is perfect for the enthusiast, student or professional. After spending almost 6 months researching, playing with and talking with friends, neighbors and co-workers about which PDA to get I have yet to regret my decision. I waited a long time to buy a handheld and spent weeks researching the pros and cons of the two I was most seriously considering, the iPAQ and the new Palm m505. 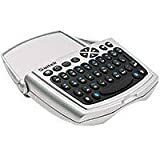 When I finally bit the bullet and bought the iPAQ, I initially was apprehensive regarding its price and some of the "glitches" I read about on the Compaq website message boards. Let me tell you, I have had this thing for 6 weeks now and I absolutely love it. Once you have decided between the advantages and disadvantages of Windows Pocket PC OS v. Palm OS, I don't think there is a better Pocket PC out there. Putting aside the superficial factors about how sleek and cool the iPAQ looks, it does so many things and synchronizes so well with Microsoft Outlook, that I think it's the best handheld out there (notwithstanding the price). The calendar, contacts and other organizer features are excellent. The games I have downloaded are pretty good (I am looking for better ones -- clearly Palm has an advantage here). I live in the city and play chess every morning on the subway -- which is a fine distraction when coupled with a CD player on my ears. I am still working on how to get MP3s downloaded to the iPAQ. What really sold me on this product, though, was the excellent quality of the screen -- there are 5 levels of brightness to choose from; and the fact that I wanted color to go with it. I compared this to the Palm m505, and it was no contest. You could barely see the Palm screen in the store. Who cares about 65,000 colors v. 4900 when you can barely see the screen? This is one of the most important features of any handheld, in my opinion. The iPAQ memory is expandable, which will allow me to use it for a long time (barring any accidents). The handwriting recognition is excellent, and is much better than Palm's "graffiti." The negatives I have read about and experienced re: the iPAQ are: (1) the slide-on expansion sleeves. People are complaining because there is no internal expansion slot in the iPAQ. Who cares? The sleeve does not add that much bulk and it's a fair trade-off for the other things you get. That said, the iPAQ is not necessarily something you can carry in a shirt pocket. I have carried it in a jacket pocket however, and it felt comfortable. 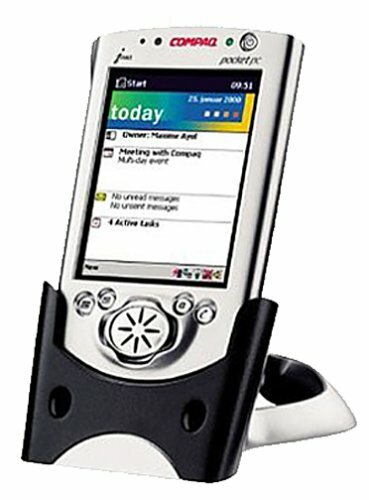 (2) There isn't as much software out there for PocketPCs as there is for Palm products. I think, though, that due to the popularity of the iPAQ that is changing rapidly. Many of these games are free on Handago.com and Microsoft's PocketPC website. I downloaded a great chess game and a tankzone game that is just like "Battlezone" from the early 80s. I also downloaded "PocketQuake" for free, but need more memory to use it. (3) BATTERY LIFE. This is definitely a negative. I have constantly needed to charge this thing, so I bought a charging adapter for work and home. I take it with me whenever I travel. You can use this for about a day of regular use, then you will need to charge it. I have read that you can keep a Palm on for weeks without charging. Palm has the iPAQ beat hands down in this department, but then again, in my view, the battery drainage is due solely to the advantages I feel the iPAQ has over the Palm. It's a tradeoff. (4) Accessories will cost you. This is a product for people with money to spend on it. While you can get basic everyday usage out of the 32MB that comes with the iPAQ, you will need to buy at least another 64 MB of memory to really get the most out of it. (I haven't yet). Internet connectivity, which I would love to have, is still ridiculously expensive ($59.95/mo. with Omnisky). When this comes down and the connection rate improves (or I win the lottery), this will be a great thing to have. The last thing I want to say is that it is a lot of fun exploring new things to do with the iPAQ. As with all handhelds, this is not a product like a washing machine that comes with clear directions on how to use its every aspect, particularly, downloadable software. The technology is still evolving, and it requires some work to find new things to download and use. I am still working on the MP3 issue, for example. 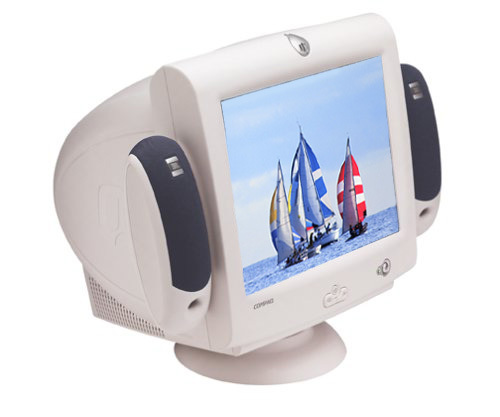 But there is a growing community of users that provides advice on all aspects of the iPAQ on the Compaq website. It is a great feeling when you find something new to do on this product. If you are someone who likes things spelled out 100% and don't want to search for anyting -- do yourself a favor and buy a Palm. Better yet, stick to a notebook. On the other hand, if you like a little adventure and have some money to spend on this fantastic organizer/MP3 player/toy/computer, I don't think you will be disappointed. This is a good value, but the screen is very difficult to read in less than perfect lighting conditions. Under bright flourescent lights in the office, it is fine. The rest of the time, though, I have a heck of a time with it. The internal memory also isn't really big enough to store MP3s. I decided to go back to paper and pen. I found out the way to copy photos from my CompactFlash card onto the iPAQ. It's not hard but more complex than necessary. I also found out how to send the iPAQ in to have its screen replaced. A hassle. Its screen and/or stylus should work together so they don't produce scratches in the first place. Ideal for small business and home use, the Compaq 1200 color ink-jet printer provides professional-quality desktop printing. This remarkably fast little printer produces sharp letters, reports, and photo-quality prints. Handling up to 100 pages of input, the IJ1200 color printer is a practical companion for your desktop or laptop computer. With the IJ1200, documents print at a crisp 2,400 x 1,200 dpi resolution for sharp text and vibrant photos. It manages a variety of papers, including plain and special papers, as well as envelopes, transparencies, and even banners up to 20 sheets long, all at a speedy 10 ppm for black and 5 ppm for color. Compaq's Image Color Matching technology provides accurate color, so what you see on your computer screen is what you get on your printed page. When I first got this Compaq printer it worked well. That only lasted about a month. After that when I tried to print anything color it would print in visible stripes. Cleaning the print heads only helped for maybe a day and then it was back to the stripes again. In addition to it's bad quality printing the ink is overpriced. I would recommend a Canon printer instead. They are cheap and work great. I own two and have never had a problem with them. Plus, they print great photos. This printer is a piece of junk. I have another lexmark/compaq and a HP. Both of my lexmark/compaq printers don't feed the paper in straight and the printer takes in more than one sheet of paper an prints a page of stuff on five sheets of paper. I would recomend hp's or epson's BUT DON'T BUY A LEXMARK. can not use refilled cartriges. Because of high priced new cartriges this is one you do not want. Because you can not use refilled cartriges. Just Sharp as a Laser, and fast drying colors! Best choice I made, I wasn't too sure about gettin a Compaq printer, but when I did, I see what they say : "Buy Brand and get Quality" Enough said, you get what ytou pay for. Lesson I learned the hard way with my old EPSON. 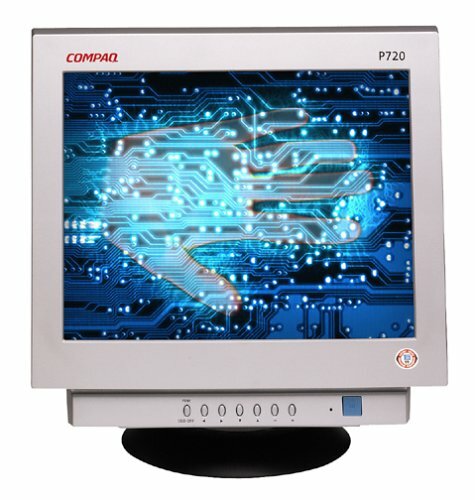 HP/Compaq now offers the fp7317 15-inch flat panel LCD, designed for use with Compaq Presario PCs. Combining sharp 1,280 x 1,024 resolution, fine 0.264 mm dot pitch, and a 350:1 contrast ratio, the fp7317 delivers images that are crisp and clear. And, for a truly multimedia experience, you can turn up the soundthe fp7317 features bezel-integrated speakers, perfect for gaming and watching video. You can calibrate screen settings by accessing the onscreen menus in your choice of nine languages. And, with a wide 134-degree horizontal viewing angle (120 degrees vertical), wall mounting capability, tilt adjustments, and more, you can customize the fp7317 to suit just about any location. The fp7317 offers plug-and-play setup, and widely compatible analog RGB input. Whether editing your family photos, balancing your online checkbook, or listening to your digital music collection, Compaq's SR1410NX offers a versatile, strong base for your home computing needs. Focusing on affordability, the SR1410NX has room to grow with an available expansion slot, 2 available PCI slots, 5 USB ports for connecting peripherals, and the ability to add up to 2 GB of RAM. 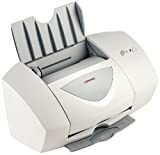 This desktop comes with an 80 GB hard drive, 256 MB of installed RAM, 2.8 GHz Intel Celeron processor, combo DVD/CD-RW drive, and a multi-format memory card reader. 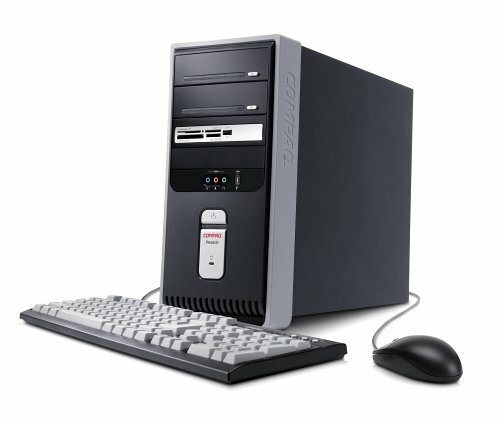 For a step up in price, the SR1420NX offers a faster Celeron processor, 512 MB of RAM, and a dual layer DVD-/+RW drive. Memory: The 256 MB of installed RAM will get you started, but you'll want to add more to handle any kind of multimedia application and most business productivity suites. This desktop has a 2 GB maximum RAM capacity. 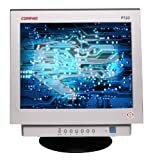 CD/DVD Drive: This desktop includes a speedy combo DVD-ROM/CD-RW drive, with 48x write/read and 32x rewrite speed for CDs and 16x read speed for DVDs. Keyboard & Mouse: The SR1410NX comes with a Compaq keyboard and scroller mouse (both with PS/2 connections. 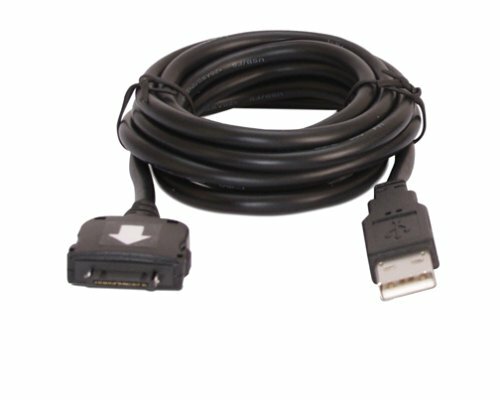 · Charge and Sync:Just connect your handheld device to any USB port via APC¿s USB Handheld Charger & Sync Cables to quickly and easily charge and sync your device.The sync feature requires installed software and drivers from handheld manufacturer. - Compact and Lightweight:APC's USB Charger Cables eliminate the need to carry bulky power adapters or cradles.Helps save space and weight while you're traveling. Disclaimer: I just bought the thing last night. No long term experience. But I spent over an hour comparing 40 keyboards before buying and have tested at home. * Design. I like the sleek rounded look to the keyboard. On the back are legs that can swing out to adjust the level if you're going to be using it on a desk. * Keypress. This was a major reason for me buying the keyboard. The keys benefit from laptop technology. They are firm, but don't have much travel so they feel more responsive - less typing effort. * RF frequency means that the thing doesn't cut out if you lose line of sight, but the responsiveness tapers quickly at about 10 ft from the reciever. I think this distance should have been longer, but you need to be reasonably close to your monitor anyway. * Mouse is very precise. * Hotkeys, if you load a driver. One is user-assignable. Personally I don't use 'em, but they're there for your surfing pleasure. * The mouse flashes alot through the side. It's distracting. 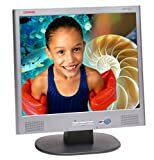 With its built-in speakers and absolutely flat 17-inch viewing screen, the Compaq Presario flat-screen multimedia monitor is ready and waiting for your games and graphic-heavy applications. Due to its 1,280 x 1,024 resolution and 85 Hz refresh rate, you can be sure that your images will retain clarity and crispness with clear color separation. Installation is nothing more than connecting the 15-pin minicord, and the onscreen controls allow you to customize color, screen size, and a handful of image settings to achieve your perfect picture. The speakers are far more versatile than standard-issue built-ins, as they can be easily detached for a variety of layouts. Users with a digital audio player can connect it directly to the speakers and groove to the beats while saving power--you won't need to turn on the PC with this direct connection. I paid ... when I bought this monitor last year. But I've been using it for over a year now and it's wonderful. With anti-glare screen, I get excellent pictures everytime. The images are sharp and clear, and with Compaq's Coloreal technology you can enjoy true-to-life images on its 16.0 VIA. For a 2-piece stereo speaker system, the JBL Platinum is excellent, too. You can connect headphones directly to the speakers. The Digital Audio Player port lets you use the speakers as output for your mp3 player without switching on the computer. This is definitely one of the best flat screen monitor around. If you don't want this, get a flat panel display. Good Monitor, Good Picure. Got it new for a lot lot lot less money at a local place. Good monitor for everyday, normal use.